In my recent long weekend trip, I was happy to discover another paradise (after I visited Surin Island and Lipe island). Thailand has some of the best beaches in the world but the more famous it is, the more visitors there are. Once in a while I like to take myself away from the crowds and my busy schedule to be in a peaceful surroundings, a place with clear and pristine water where I can just wide down, enjoy slow life and wake up by the sound of the waves instead of big city noises. 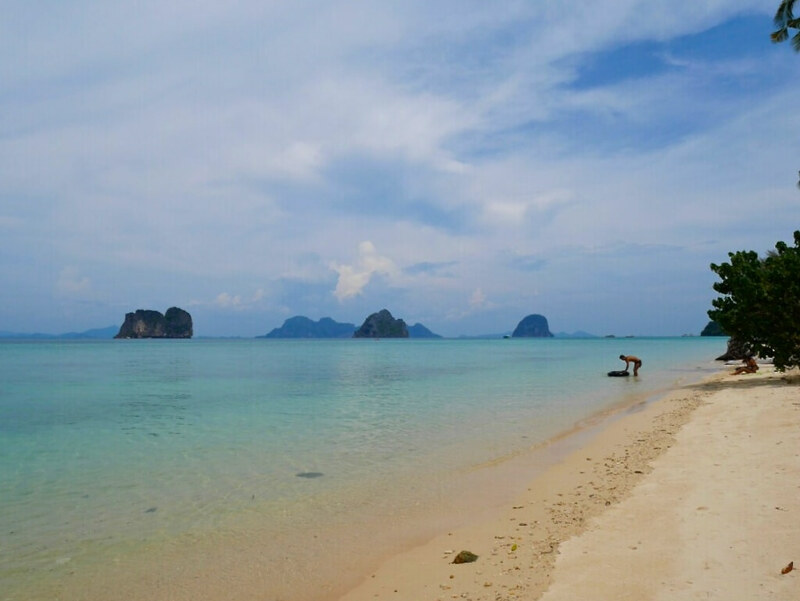 If you are looking for a solitude and sand, Koh Ngai might be of your interest. เกาะไหง Ko Ngai a.k.a เกาะไห Ko Hai is actually a part of Mu Koh Lanta national park (อุทยานแห่งชาติหมู่เกาะลันตา) situated in Amphoe Ko Lanta of Krabi province. But many people misunderstood that it is in Trang province because if you want to go to the island, the easiest way is taking a boat from Pak Meng Pier in Trang. 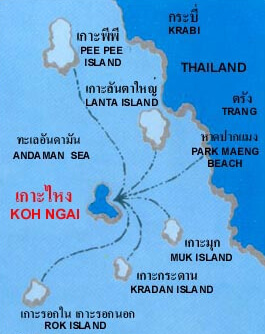 Ko Ngai is a tiny island measuring 4 kilometers long and 2 kilometers wide. The tranquil beach here runs for over 2 kilometers, It consists of fine coral sand that supports a healthy population of translucent sand crabs. Pine-like casuarina trees provide shade over much of the beach. and the island is covered by tropical forest and coconut plantation. Ko Ngai is very peaceful (if you don’t mind lots of birds signing in the morning). There are no roads so no cars or motorcycles, no disturbing long tail boats going in and out all day – or shops, or even sometimes-unwanted sellers on the beach. Tourists who stay on the island dine at a restaurant in the resorts. Floating on the rubber tube is so relaxing. 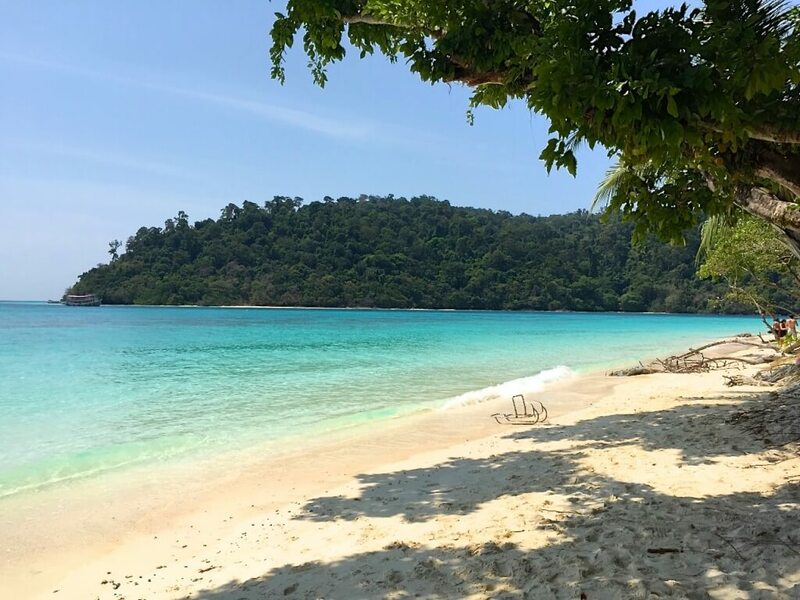 There is nothing much to do on the island itself because Koh Ngai is a place where you go to recharge your battery by doing nothing besides eating, sleeping, reading books, sun bathing , swimming and kayaking. However the island is surrounded by many exotic islands such as Koh Kradan (the islnad that famous for its unconventional underwater wedding ceremony) , Koh Mook (The Emerald cave or ‘Tham Morakot’), Koh cheuk , Koh Mha and Koh Rok. 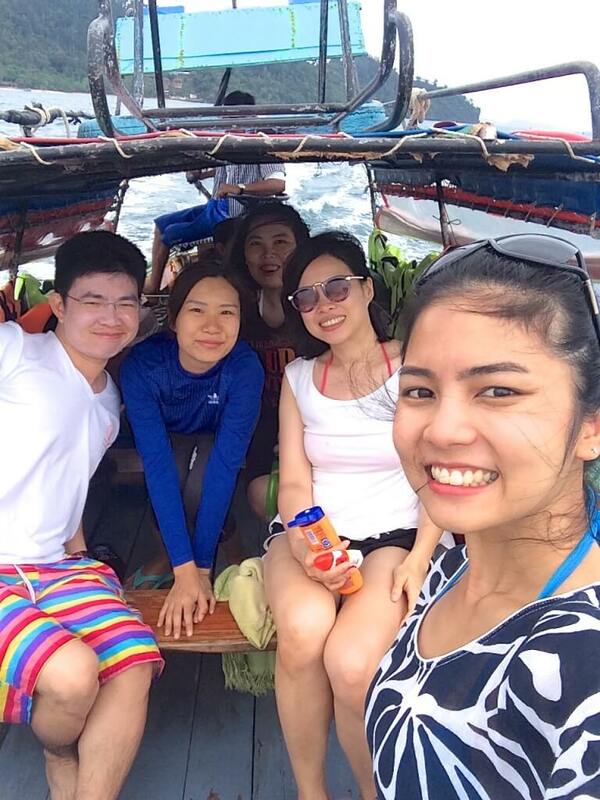 My friends and I hired a long-tail boat to take us for a day trip in four islands near Koh Ngai. The famous four-island tour available is เกาะเชือก Koh cheuk (Rope island) เกาะม้า Koh Mha (Horse island) เกาะมุก Koh Mook (Pearl island) and The Emerald cave, and เกาะกระดาน Koh Kradan. On the long-tail boat taking us to snorkelling trip. 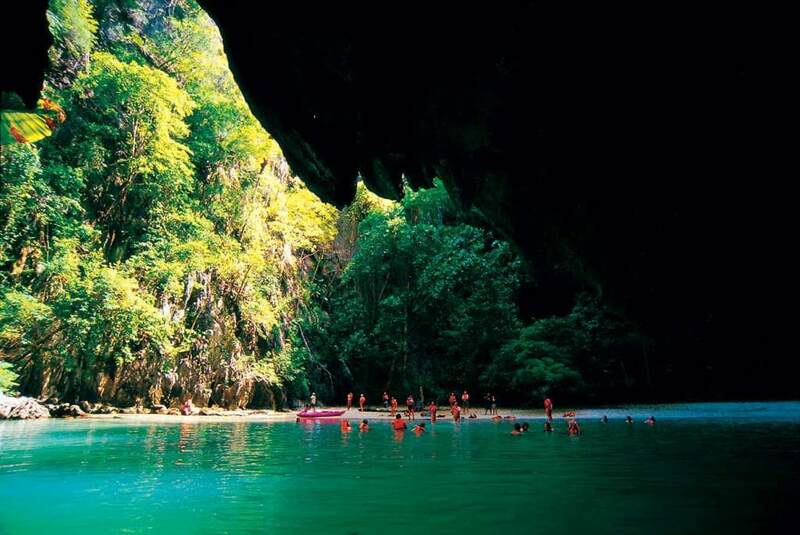 My favourite spot is the Emerald Cave which is a secret lagoon hidden inside the island of Koh Mook . The only way in to this amazing location is to swim 85m through an underwater tunnel that opens out into the secret bay with limestone cliffs soaring high above you on all sides. When I visited this cave first time many years ago it was a truly amazing experience; to emerge from a dark tunnel into a stunningly green lagoon. I couldn’t help but imagine what it felt like to be the first person to discover this spectacular place for the first time. Koh Rok is a little bit further away from the above four islands, it is recommended to go on a separate trip. 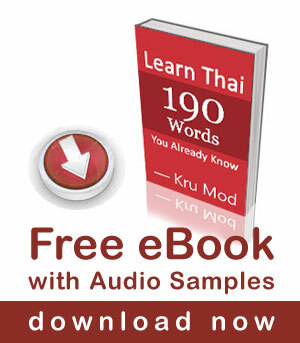 It takes about 1.5 hours from Koh Ngai. Looking at the pictures below, there is no need to describe how amazing this island is. 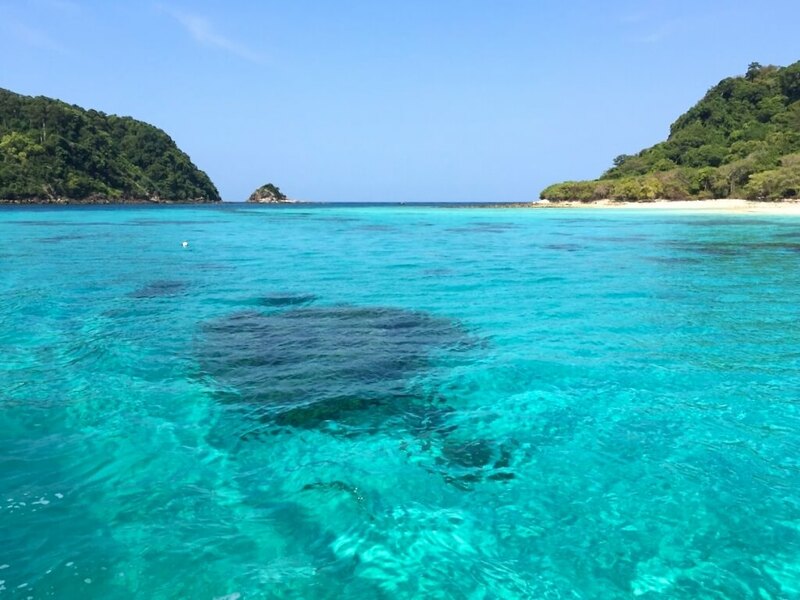 It is a great snorkelling spot with many tropical fish. You will also be amazed by the beauty of the sand, it is just like baking flour! Features: Koh Rok is of the two islands sitting beside each other with the distance of only 250 m in between. If you don’t feel like going out on the boat. There is some good snorkelling in the shallow, clear water off the island’s southeastern tip. You can hike on Koh Ngai. Go to the south of the island and cross the hills to get to west side. It is a national park, but no entrance fee. 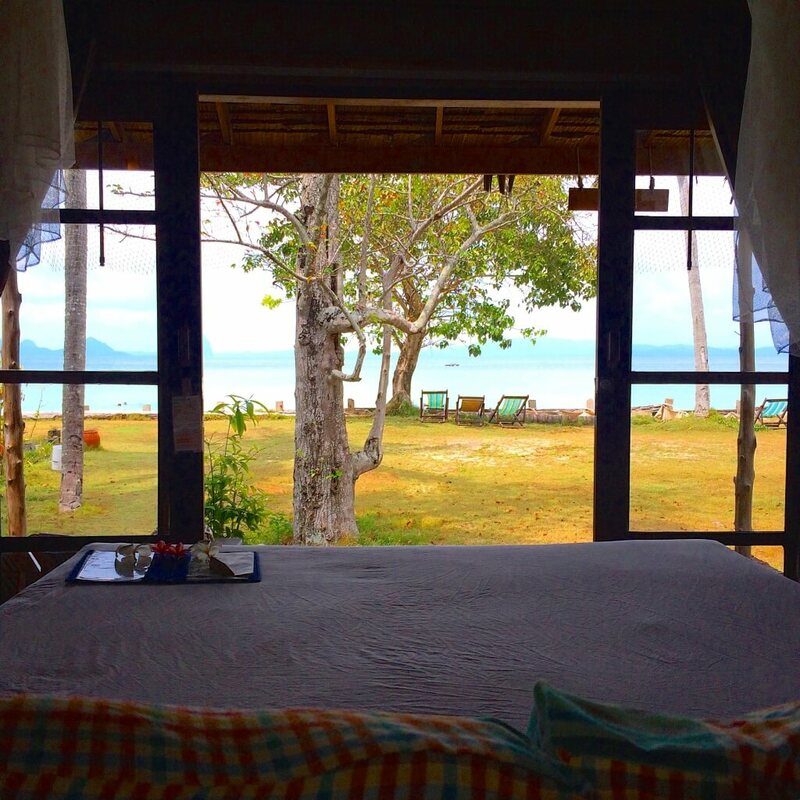 The Cliff Beach Resort, Thapwarin, Koh Ngai Villa, Thanya and the Camping Resort also offer massage. There are only seven accommodations on Koh Ngai. My friends and I selected the resort called Coco Cottage. It is an environmentally – friendly Resort. All rooms are decorated in natural style, The cottages are clean and very comfortable, they are made of natural materials such as bamboo, hardwoods and coconut in the construction and furniture of the cottages. We had two sea view rooms next to each other and we totally loved it! How lovely to wake up to this view for a long weekend or perhaps a little longer. 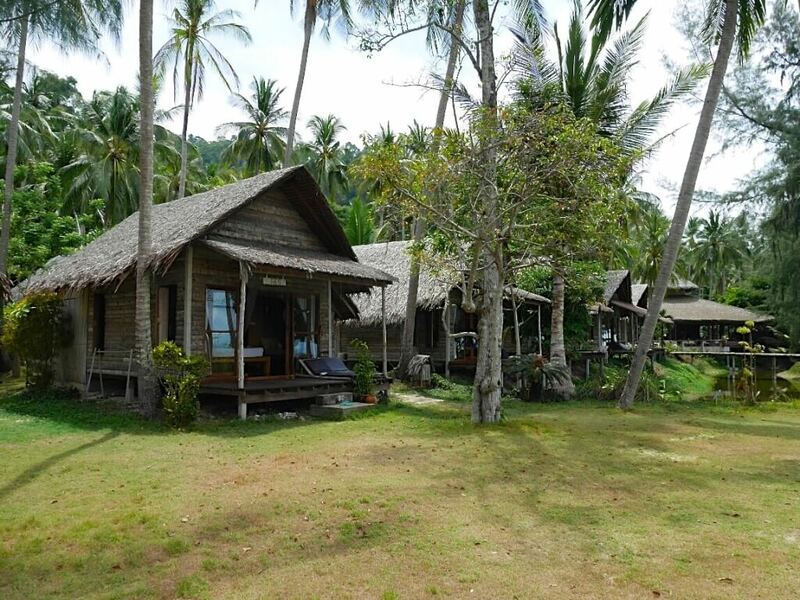 Cottages surrounded by coconut trees and facing the sea. 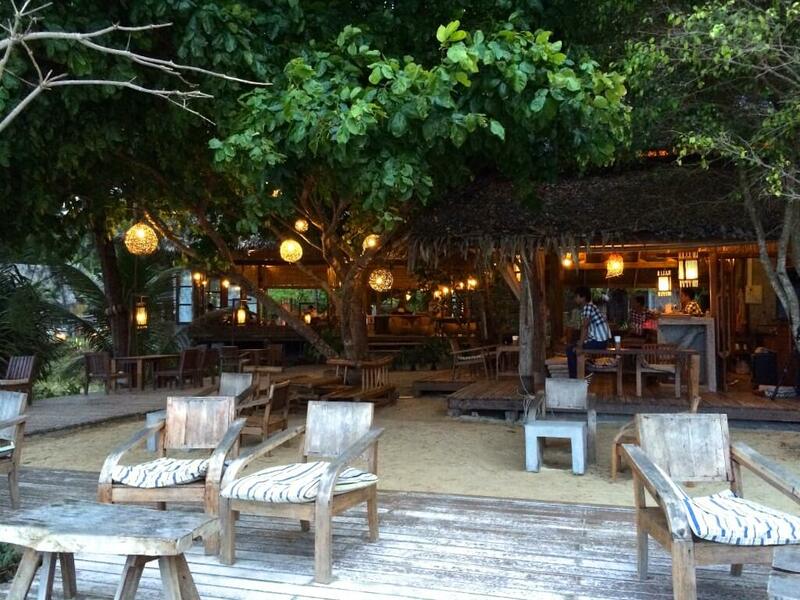 Warm and cozy bar and restaurant of the resort. 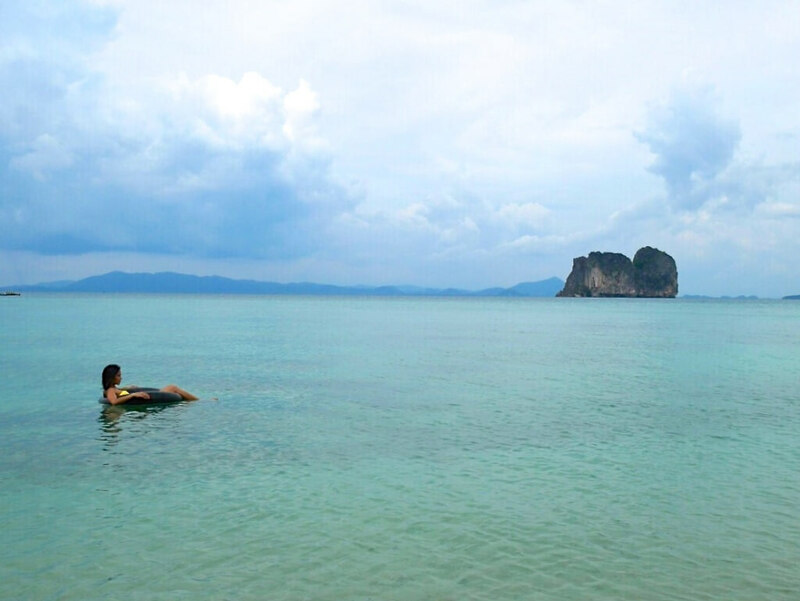 You can go to Koh Ngai all year round but the best time to go is during November until April. 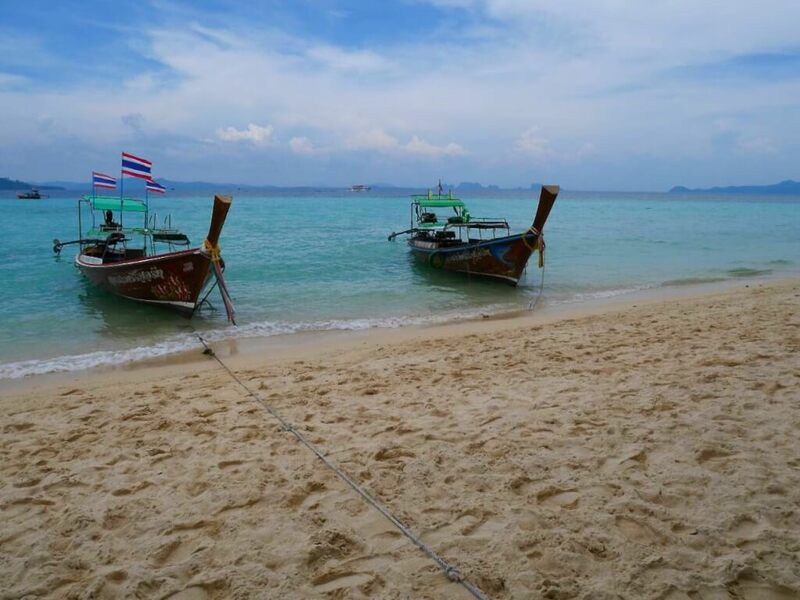 How to Get to Koh Ngai? Nok Air and Air Asia offer three-daily flight+ferry services from Bangkok to Ko Ngai by flying with the airline to Trang and transferred on a ferry to Ko Ngai. This can be booked directly from their website. Flight takes around 1 hr 30 mins. Buses leave from Southern Bus Terminal every day around 7 p.m. – 8 p.m. The Transport Co. in Trang call at 075-218-718. There are 2 daily trains from Bangkok to Trang (and 2 trains back from Trang to Bangkok). : Take around 45 mins to Pakmeng Pier. Take around 1.30 – 2.30 hrs to Pakmeng Pier. Duration and rate will be difference by the pick up point. To get to Koh Ngai independently, you will need to travel from Pak Meng Pier in Trang; alternatively you can hitch a ride on one of the tour boats from Ko Lanta (Nov – April only). * Operated during Hi-season only. At low tide, swimming is not so good at the northern end, which is scattered with dead coral. Mosquitoes are plenty at night time, so remember to prepare your insect repellent. There are no ATMs, some of the upscale resorts will accept credit cards and exchange foreign currencies at high rates. 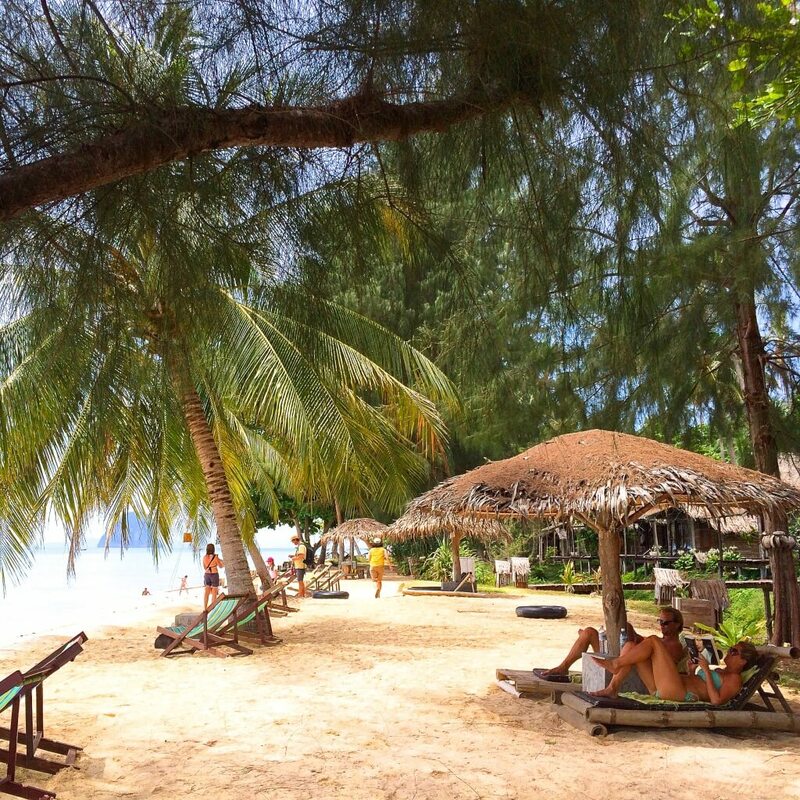 Once again, Koh Ngai is a place to recharge your mental strength. If you need entertaining, or looking for something to do more than sitting in a deck chair, listen to the waves and watch the sea brush the shore and perhaps engage in a little conversation, this is not the place for you. Your are very nice. I live in Bangkok. I’am owner of tour operator travel. Very nice post Mod. Emarald cave looks magical. I feel like this is a place I would truly enjoy and recharged. Probably I will stopover when I visit Krabi next time.